#morepowertowomen is what the whole India is chanting right now. As we all know that Commonwealth games 2018 has kicked off at Gold Coast and the most exciting thing about this year’s game is our Indian women athletes making the country proud with their amazing performance at the event. By now, if you look at the medal tally, you can see that most of the gold medals are won by the women athletes in different disciplines. From weightlifting to badminton and table tennis, these women are becoming the stars for India at the event. So, let’s have a look at the winners who led the country to an utter glory. 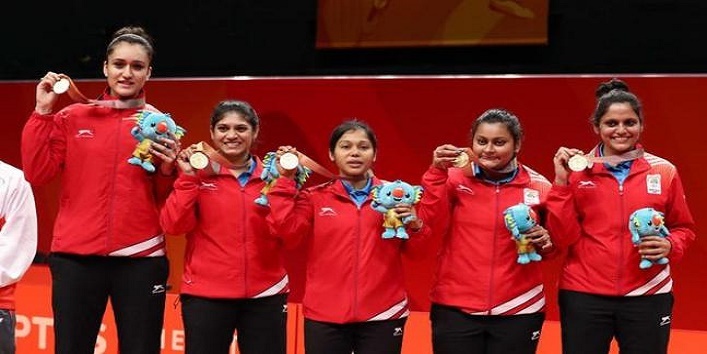 Starting with the most historic win at CWG this year, was the women’s table tennis team who did the most unexpected thing by beating Singapore with the score of 3-1 and won the Maiden gold. Manika Batra, Mouma Das, and Madhurika Patkar really changed the game for good. We will all agree on this that shooting is the complicated sport. But, for this 16-year-old shooter, it was easy to take aim and shoot. We are talking about Manu Bhaker who set a record by winning gold at 10m Air pistol. Along with her, the second win for the sliver was also taken by the Indian shooter, Heena Sindhu which made this event even more amazing. Besides this, India also set a record by winning another medal at the weightlifting arena. Punam Yadav pulled off her best and won a gold medal this year in the 69kg category after winning bronze in the 2014 edition. 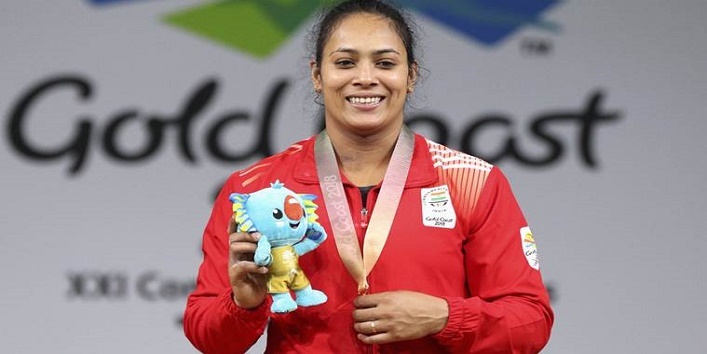 The other two gold medals in the weightlifting category were won by Mirabai Chanu (48 kg category) and Sanjita Chanu (53 kg category). And after seeing all these outstanding sportswomen representing our country, we are pretty sure there are more medals in the store for India.